The FALCON was originally built of cold molded plywood. In 1977 the Class adopted fiberglass construction. 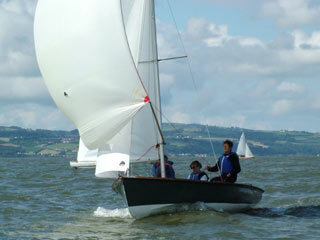 Sailed in the UK (Wales) mostly on the River Mersey at West Kirby SC, (25 boats) and also at Fidlers Ferry SC (10-15 boats).